Dealing with IT outages and downtime is one of the biggest technical challenges of the modern era, costing North American businesses an estimated $700 billion per year. Today's world of interconnected cloud services and microservice architectures has created infinitely more opportunities for something to go wrong and disrupt service. When that happens, there's an urgent need to alert the right people or teams to fix things. At Sumo Logic we’re focused on providing customers the ability to proactively detect issues before they occur and deliver end-to-end monitoring via our bi-directional integration with Opsgenie. The Opsgenie App available in the Sumo Logic App catalog, that collects and analyzes alert data from Opsgenie. For those interested you can access it on the Atlassian marketplace. 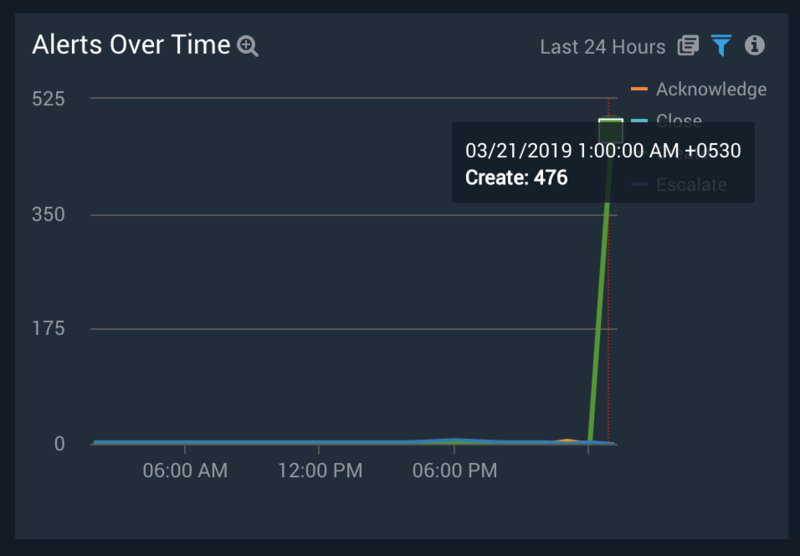 A webhook mechanism by which you can create alerts in Opsgenie based on analyzing logs, metrics and events machine data across your DevOps infrastructure. Once Opsgenie Alerts are configured to send data to Sumo Logic through webhooks, the Sumo Logic App can be installed. Simply navigate to the App Catalog in your Sumo Logic account and add the Opsgenie app to the library after providing the sources configured in the previous step. For more details on app configuration, please see the instructions on Sumo Logic’s DocHub. In any DevOps environment, there are often multiple teams responsible for various software services, and it gets further complicated with different on-call and escalation schedules. The Opsgenie App provides at-a-glance views and detailed analytics for alerts on your DevOps environment, allowing you to effectively monitor incidents and respond in a timely fashion. It helps you track MTTR for service incidents, and team performances for resource allocation & planning. 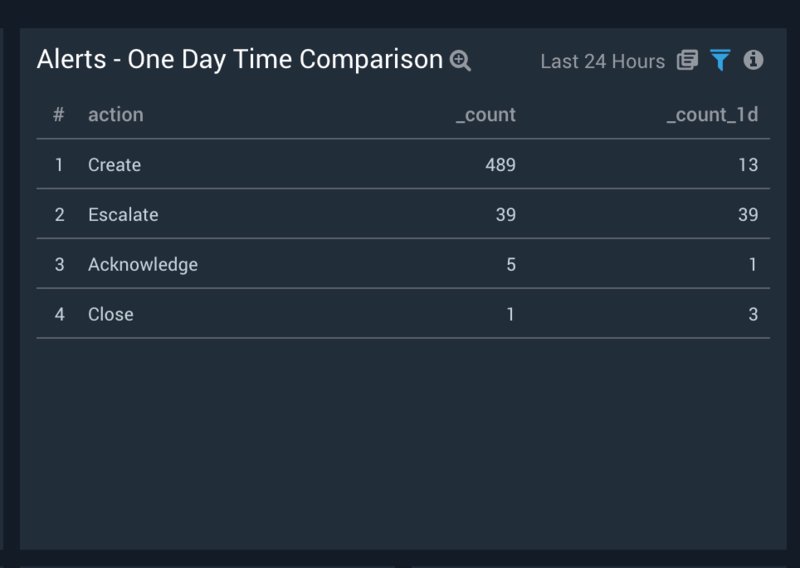 Let’s take a closer look at the Alerts Over Time panel. The Alerts Over Time panel displays trends of different alert types. This helps you identify any spikes or unusual behavior in your DevOps environment, and allows you to identify the root cause by drilling further down and looking at related fields. One Day Time Comparison of alerts also tells us if there is unusually high activity of alerts, which may be due to impacted services. If we drill down to in the alert details this dashboard gives visibility into the summary and source of the incident to help the DevOps team debug the root cause of the issue. In addition, you can use panel filters to slice the information by source, priority, team and users. The Opsgenie overview dashboard provides visibility into your infrastructure by monitoring key KPIs such as alerts created, closed, escalated, acknowledged, and escalated to next. Drilling down to the queries of the panels will help in determining the exact resource list with the selected message. The Sumo Logic Opsgenie App comes with pre packaged parameterized searches, which let you filter Opsgenie alerts by types. 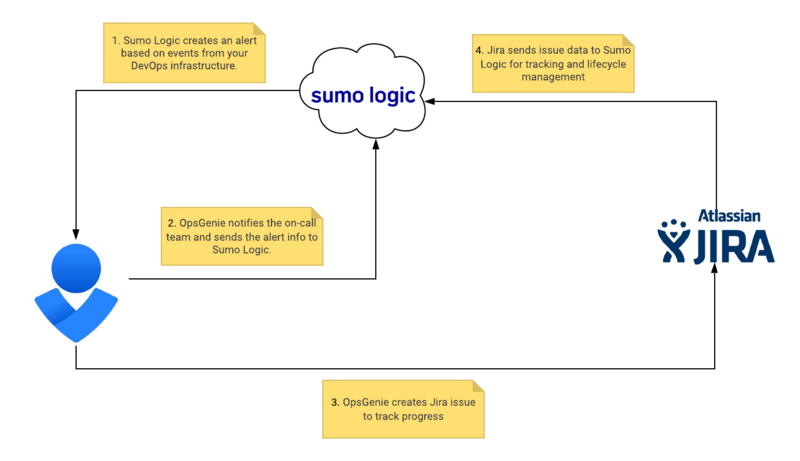 With Sumo Logic, you can detect critical events in your DevOps infrastructure that can identify potential application or infrastructure outages using Sumo Logic’s scheduled search functionality and send these over for resolution and tracking in and automated manner to Opsgenie as alerts. Once this is done, you can then send these as alerts to Opsgenie via the webhook connection that you setup in step 1. These alerts will show up in Opsgenie as shown below. The Sumo Logic App for Opsgenie monitors your entire DevOps infrastructure spanning hundreds of services and helps determine the appropriate corrective and preventative actions. The bi-directional Sumo Logic integration with OpsGenie helps you proactively detect incidents before they occur and delivers end-to-end monitoring of the alert lifecycle. To get started, check out the Sumo Logic Opsgenie App help doc and how to configure a webhook for Opsgenie. If you don’t yet have a Sumo Logic account, you can sign up for a free trial today. Ankit Goel is Solutions Architect at Sumo Logic with 10+ years of experience in designing and architecting applications. He is passionate about Machine Learning and Big Data projects. Ankit graduated from Carnegie Mellon University with a masters degree in Information Systems. More posts by Ankit Goel.